Kirstie Dedman. Artist and Printmaker. After many years working as a freelance graphic designer and illustrator, I took the decision in 2014 to go back to producing work for my own satisfaction rather than to fulfil the vision of others. This was a more complex decision than even I had first realised. 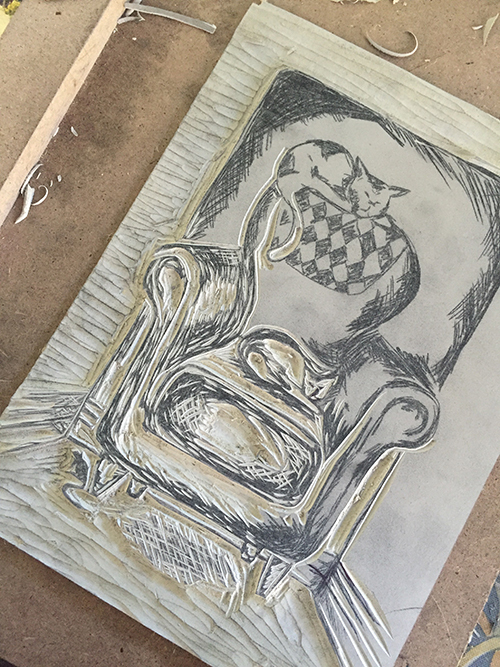 After much contemplation, I knew I really wanted to go back to the printmaking I had so enjoyed while a student. I was, however, very aware that this required presses, equipment and space that I didn’t have easy access to. My first few years of work have been about relearning the processes needed to produce a print. 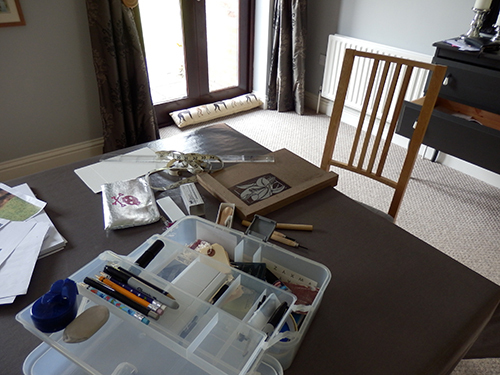 Linocuts were an easy choice because they are relatively easy to produce in a home studio setting, and the carving of fresh Lino is a something which I had loved and wished to do again. This early work is graphic and simple, as I explored the limitations of what can and cannot be produced with limited equipment. I was trying out different papers, inks and techniques. My current work has been focussed on pushing inks to the limits, whilst still printing by hand with a baren rather than a press. How many layers can I print? How far can the inks be pushed before they get too sticky? 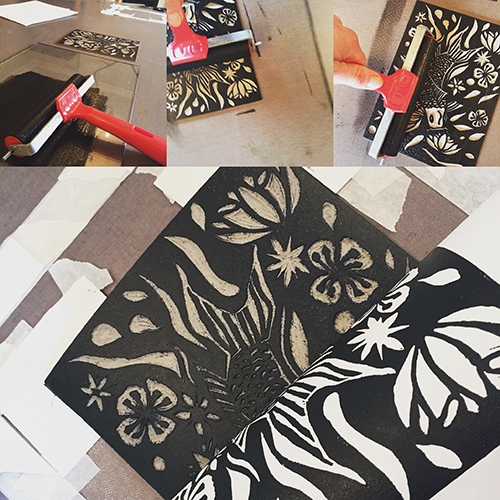 Can the inks be used to create a texture which gives the print a painterly feel? On the opposite end of the scale can I use transparencies to create a different kind of lighter more airy print, less oil painting and more watercolour? By pushing my work in this way my images have become more complex and atmospheric. More technical but hopefully more interesting visually too. Nature is the common theme running through my work. If not in the image then in the colours and textures used. Not unsurprising- as I am surrounded by natural beauty in the Berkshire countryside.